■ healthy young homosexual men, characterized by unusual JL opportunistic infections, certain malignant tumors, and immunodeficiency. The constellation of symptoms and signs associated with this illness came to be known as AIDS, an acronym for acquired immunodeficiency syndrome. Initially, there was wild speculation about what might be the cause of AIDS, but by 1982, the Centers for Disease Control had convincing epidemiological evidence that AIDS was caused by a new infectious agent. Scientists around the world scrambled to identify it. In January 1983, an important scientific breakthrough occurred in the laboratory of Dr. Luc Montagnier at the famous Pasteur Institute. Using techniques developed earlier by Gallo for cultivating HTLV, Montagnier recovered a new virus from a patient with lymphadenopathy syndrome, an AIDS-associated condition. Because the IL-2 activated lymphocyte cultures died out quickly, he was only able to obtain small quantities of the new virus, named LAV for "lym-phadenopathy virus," but enough to use as antigen in a blood test that showed that AIDS cases were infected with the virus. He sent a sample of this virus to Gallo at the National Cancer Institute, and the two exchanged material from other patients. He also made application to the U.S. Patent Office for a patent on his blood test. Meanwhile, Gallo's laboratory began recovering a virus from AIDS patients, and reported the finding in the same issue of the journal Science in which Montagnier reported his finding. A number of these viral isolates were introduced together into continuous cell cultures (as opposed to IL-2 activated normal lymphocytes) to see if a strain of the virus could replicate in the cells. One did replicate well, enabling Gallo to obtain large quantities of the virus. Gallo named the virus HTLV-III because of a resemblance to two human T-lymphotrophic viruses discovered earlier. It soon became clear, however, that the new virus more closely resembled a virus that caused persistent infections in sheep, a lentivirus. Using "HTLV-III," Gallo perfected a blood test for AIDS and, like Montagnier, applied for a patent. These conflicting patent claims caused a bitter scientific and legal battle that raged for years, the subject of charges and countercharges and investigations by scientific and congressional committees costing hundreds of thousands of dollars. Under pressure from President Reagan, a settlement was negotiated in 1987 wherein Gallo and Montagnier were named codiscoverers of the test. Eighty percent of the royalties were to go to an AIDS foundation, the remainder to be divided equally between the National Institutes of Health (NIH) and the Pasteur Institute. The settlement did not end the conflict. Genetic analysis showed that HTLV-III was actually LAV, introduced into Gallo's cultures as just described. Later, the Pasteur Institute suffered its own embarrassment, acknowledging that due to a laboratory mixup of its own, LAV actually came from a different patient than stated in its publications. In 1994, the earlier settlement was modified, NIH admitting that HTLV-III and LAV were the same and giving the French side a larger share of the royalties. The American share of the royalties has generated many millions of dollars for the NIH over the years, but the value of the blood test far exceeded any monetary figure. 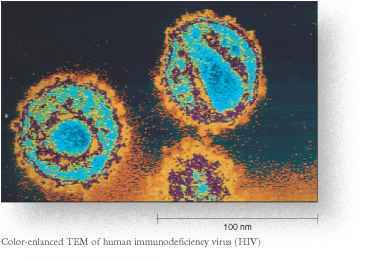 It helped prove beyond doubt that HTLV-III/LAV—renamed HIV for human immunodeficiency virus—caused AIDS. It also showed that many asymptomatic people were infected with the virus and could transmit it, and that the epidemic was far more extensive than previously suspected. By 1985, the blood test was generally available for routine testing of donated blood, thus markedly improving the safety of blood transfusion and products prepared from pooled blood. These findings helped generate political support for controlling the disease. AT THE END OF THE SECOND DECADE AFTER ITS recognition in 1981, the disease AIDS had killed more United States citizens than the Korean and Vietnam wars combined. By 1994, it had become the leading cause of death among those 25 to 44 years of age in the United States. The total number of individuals alive and infected with HIV exceeded 850,000 and the numbers were increasing by more than 40,000 each year. Initially introduced into a population of homosexual men, the virus is now increasingly infecting heterosexuals, especially among economically disadvantaged racial and ethnic minorities. Worldwide, at the end of the second decade of the epidemic, an estimated 40 million people were living with HIV infection. Since the epidemic began, more people have died of AIDS than were killed by the "black death" of Europe in the Middle Ages. It has become the number one killer in Africa below the Sahara, surpassing malaria, and is spreading rapidly in India and into China. Soon India may have more cases than any other country. The disease is now the fourth leading cause of death in the world, behind heart disease, strokes, and pneumonia. A new infection occurs every 6 seconds, and a person dies of the disease every 5 minutes. 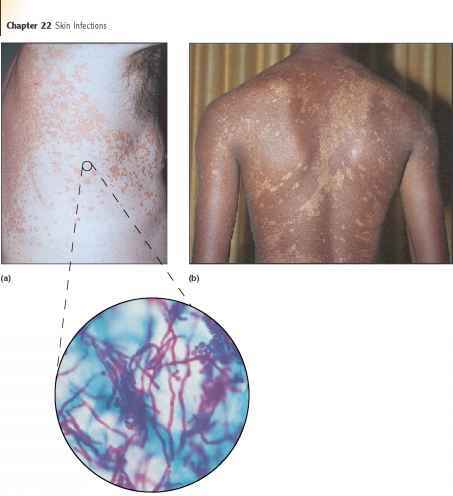 ■ black death, p. 723 This is the disease they call AIDS (figure 29.1).